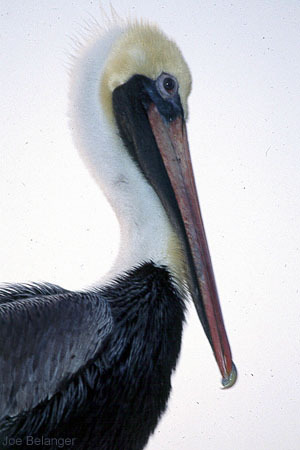 About the Pelican: Once an endangered species, the brown pelican has made a great comeback and have been reinstated as no longer endangered. This picture was taken when this guy landed on the stern of the boat wrapped in fishing line with the end of the line hooked in its mouth. It could not turn its head and was going to surely die. 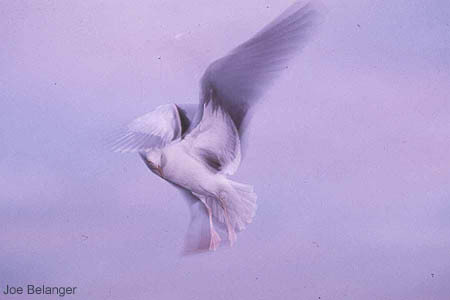 I lured it to me with a fish, it ate from my hand and I grabbed it. Two other marine biologists and I, dislodged the hook, got all the line off the pelican and freed it. After that, the pelican stayed on the stern and let us hand feed it and pet it. This was a real pleasing moment for a wild animal to let us have such a great and memorable moment with it. 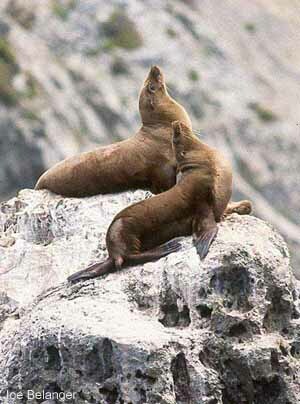 About the Sea Lions: California sea lions have been intensively studied. They are easier to study since they are so accessible and respond well to human attention. In the month of May the bulls take to the beaches and start their harems. The pups are born in June and two weeks after birth the females mate again with the bulls. (information provided from http://planetpets. 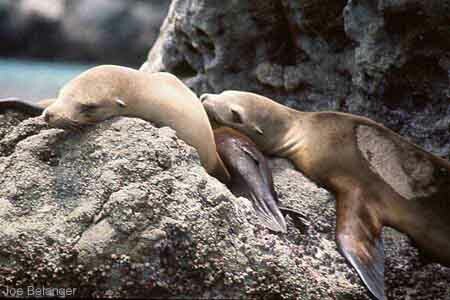 Photographed at Seal Rocks, Catalina Island using a 75 - 300 mm zoom lens, no strobe fill. Photographed at Santa Barbara Island using a Nikon 6006, 28-85 mm zoom lens with a circular polarizer. Camera set on program mode. About Kelp: Found world wide in waters averaging 50 to 60 degrees. 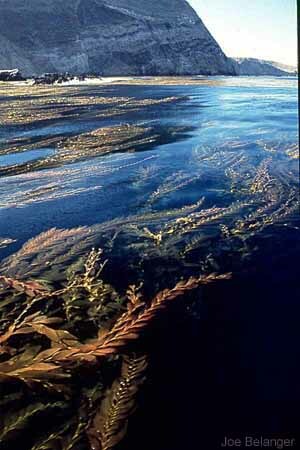 The giant kelp grows at a fast rate of up to two feet per day!! They are kept afloat by gas filled bladders, while the plant base is mounted to a secure substrate by root-like structures called holdfasts. Giant kelp grows to more than 100 feet.